Mass Effect 3 is about to get its biggest patch ever. Some big changes are coming to Mass Effect 3. They aren't much to talk about individually, things like increasing the shield damage multiplier of Disruptor Rounds or ensuring that Shepard's shadow displays properly after he exits an Atlas, but put them all together and you end up with a pretty impressive package. A huge number of technical issues will be fixed, numerous gameplay tweaks are being made and a few gameplay exploits have been plugged up as well. A half-dozen platform-specific problems have also been dealt with. 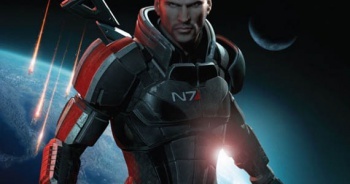 "We'll be patching me3 on Thursday," Producer Mike Gamble wrote on Twitter. "It will be our largest patch, and has been in dev. for months. It also sets us up for future... things :)"
Xbox 360 and PlayStation 3 owners will be prompted to update their games as normal, while PC players will have to download the patch through Origin prior to firing it up. The patch is expected to be ready to go for Thursday, but BioWare Community Manager Chris Priestly seemed to want to hedge his bet a little, writing that the studio "will update when we have more information." A full list of what's fixed, changed and otherwise mucked about with is up at the BioWare Social Network.